Inheriting Wi-sono's ultra-wide system platform and with the advanced probe technology, high-resolution and deep penetration images are provided for precision medicine. Spatial Compound Imaging utilizes several lines of sight for optimal contrast resolution, speckle reduction and border detection, with which P25 is ideal for superficial and abdominal imaging with better clarity and improved continuity of structures. 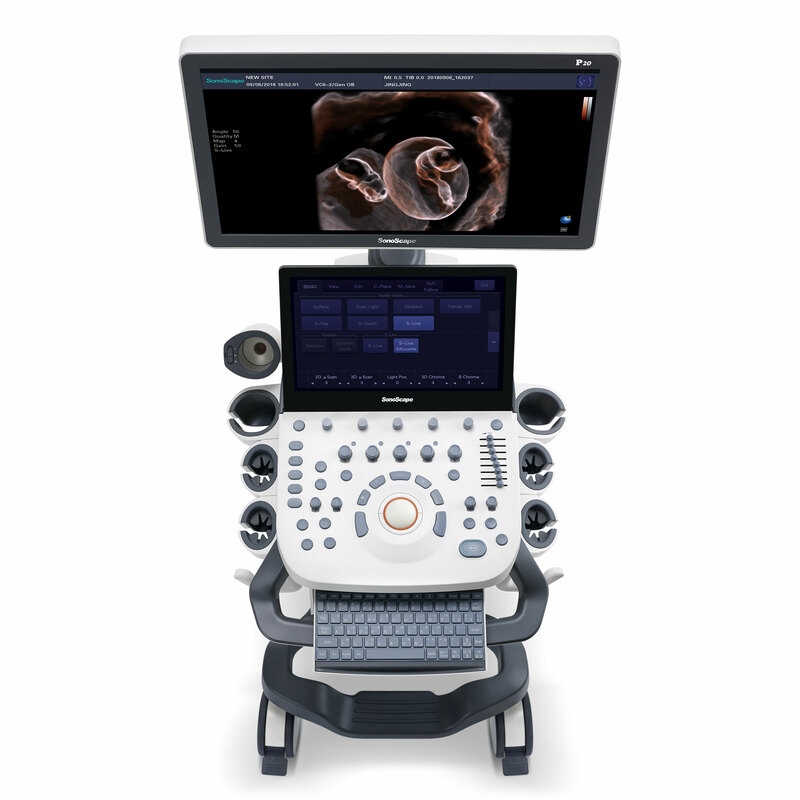 The new generation µ-Scan imaging technology gives you better image quality by reducing noise, improving signal strength and improving visualization. Dynamic color improves upon already existing color Doppler technologies for a clearer capture of color flow and detailed visualization of even tiny veins with lower velocities. C-xlasto Imaging enables comprehensive quantitative elastic analysis. It is supported by multiple probes to ensure good reproducibility and highly consistent quantitative elastic results. With the combination of color flow and real-time panoramic, visualizing the blood flow of an entire vein or artery is now an easy task. Accomplished in real-time for the convenience of the sonographers, any mistake can also be easily back tracked and corrected without interrupting the scan. Anatomic M Mode helps you observe the myocardial motion at different phases by freely placing sample lines. It accurately measures the myocardial thickness and the heart size of even difficult patients and supports the myocardial function and LV wall-motion assessment. P20 is endowed with Tissue Doppler Imaging which provides velocities and other clinical information on myocardial functions, facilitating clinical doctors with the ability to analyze and compare the motions of different parts of the patient’s heart. S-Depth can automatically display the near-far relation from transducer to target, represented by a smart designed color coding. It helps doctors to judge the spatial relationship on real-time 3D images. Transperineal 4D pelvic floor ultrasound can provide useful clinical values in assessing the vaginal delivery impact on the female anterior compartment, judging whether the pelvic organs are prolapsed or not and the extent, determining if the pelvic muscles were torn accurately. C-xlasto imaging facilitates analysis and documentation of tissue stiffness to improve detection and visualization of tumors. Predominately used only in linear probes, SonoScape’s new transvaginal probe for gynecology is breaking the mold and expanding elastography applications. To recognize myocardial intima during diastolic and systolic period and calculates the ejection fraction automatically. To give a quick measurement of intima-media vessel thickness ensures good reproducibility and high diagnostic efficiency. Auto NT helps doctors quickly calculate nuchal translucency thickness and maximizes accuracy compared to manual measurements. One button function to remove covering tissues from the fetus face to give a clearer view. AVC Follicle enables you to automatically measure the volume of 20 follicles at the same time. Auto Color automatically adjusts the position and deflection angle of the ROI to help quickly get the best blood flow image.